A 7.6-magnitude undersea quake has hit off the coast of the French territory of New Caledonia in the South Pacific at a shallow depth, prompting a tsunami warning up to 1,000 km (600 miles) away. 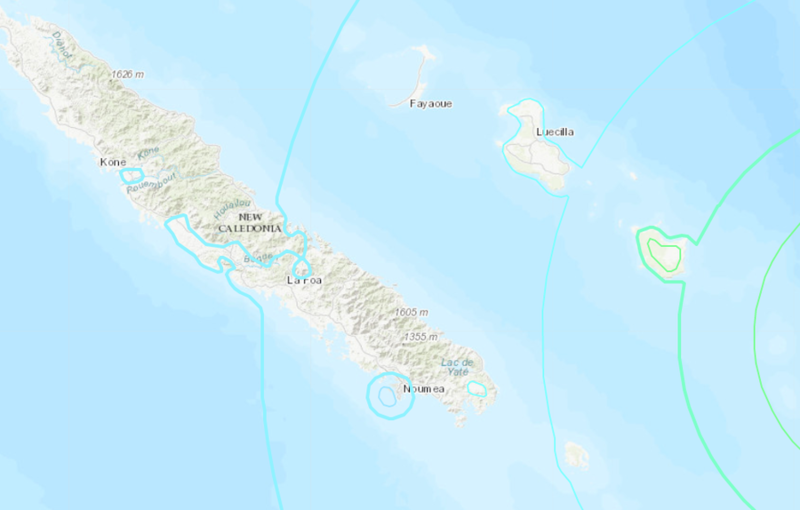 The quake struck 168.2 km (104.5 miles) from the small town of Tadine on the Loyalty Islands, New Caledonia, the United States Geological Survey (USGS) reported. Tsunami alerts have been issued for both New Caledonia and nearby Vanuatu, a state in the South Pacific consisting of 80 islets with a population of 270,000 people. The depth of the quake is just 10 km (6.2 miles), meaning that is it prone to causing “hazardous tsunami waves” as forecast by the Pacific Tsunami Warning Center. “Tsunami waves reaching 1 to 3 meters above the tide level are possible along some coasts of New Caledonia and Vanuatu,” the National Oceanic and Atmospheric Administration warned. The alert has been extended to Fiji, where the tsunami waves reaching up to 1 meters are expected. Ripples of less than 0.3 meters can be observed off the coasts of an array of states and territories, including in the US, such as Guam and Hawaii, as well as in Australia and Japan. Authorities issued a tsunami warning for all of New Caledonia, ordering the “immediate evacuation” of people to designated areas. “If you don’t have time to prepare your evacuation, get more than 300m away from the coast and/or get to a height of more than 12m of altitude,” the Directorate for Civil Protection and Risk Management of New Caledonia (DSCGR) said in a statement.